I’m feeling pretty lazy and sleepy today. I just want to go back to bed! But I have a pile of projects on my desk that need some attention. 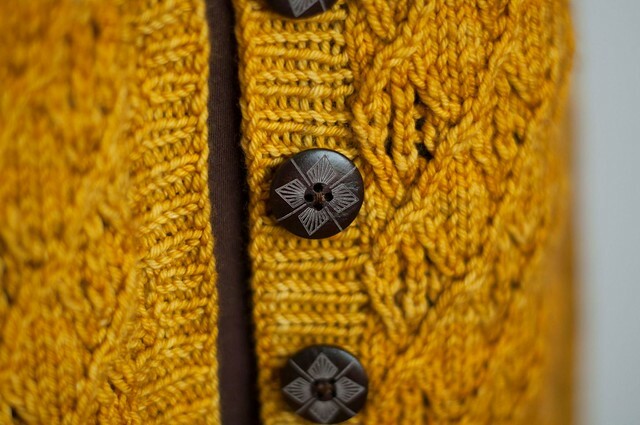 This sweater has buttons now! Perfect for the weather coming up this week. 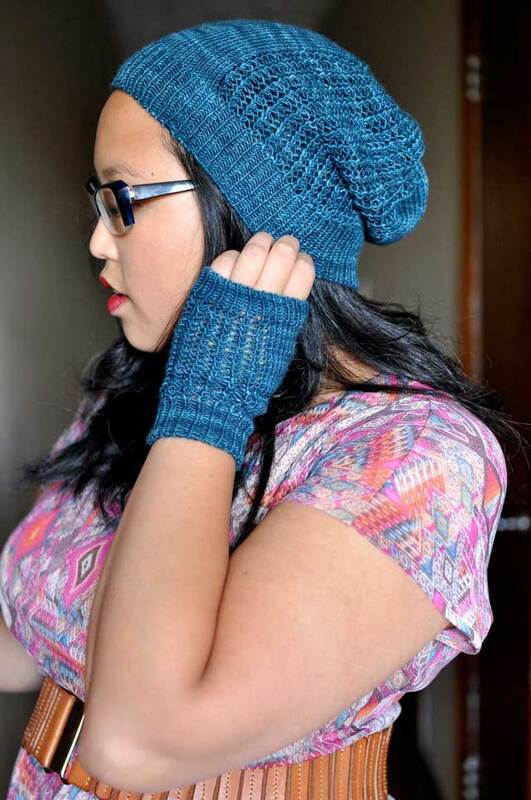 Pattern is at the editor’s, so I just need to take some photos to get the ball rolling on the final layout. 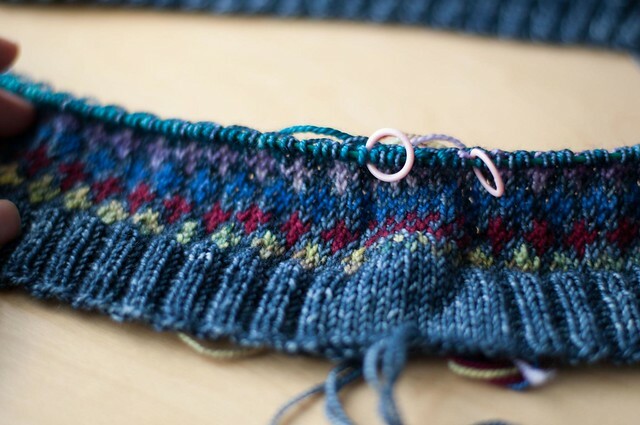 I’ve knit a little bit more on the sweater I showed a few posts ago – this one’s going to be a long-haul project, but it’s immensely satisfying. 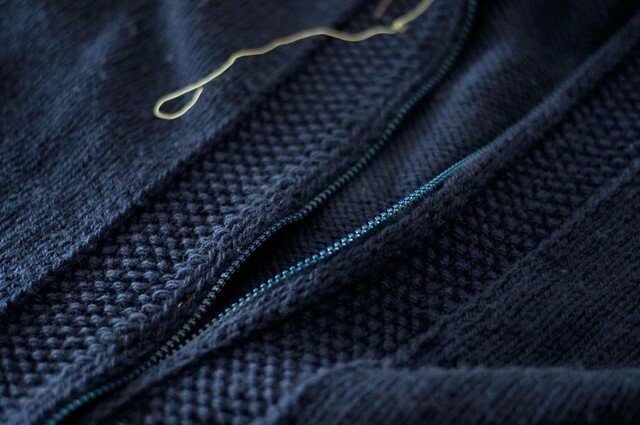 I love the steek stitches as well, and am thinking of doing a sweater with all-over checks! I finished watching the Sopranos yesterday – I’ve been binge watching it during the week since August 22! Whatever shall I watch next? Maybe I’ll concentrate on finishing 11/22/63, which is awesome. If you haven’t seen The Wire yet, drop everything and start it immediately. Don’t worry about not understanding the street language. No one does, but you’ll get the drift. Netflix has all the seasons now.